The apartment was cosy and had pretty artistic touches. The bread was lovely and the hosts left yoghurt and other essentials... not many apartments do that. Rita was extremely helpful and went out of her way to assist us. The central location provided access to all the sites and transport hubs. There was plenty of space for a studio apartment. 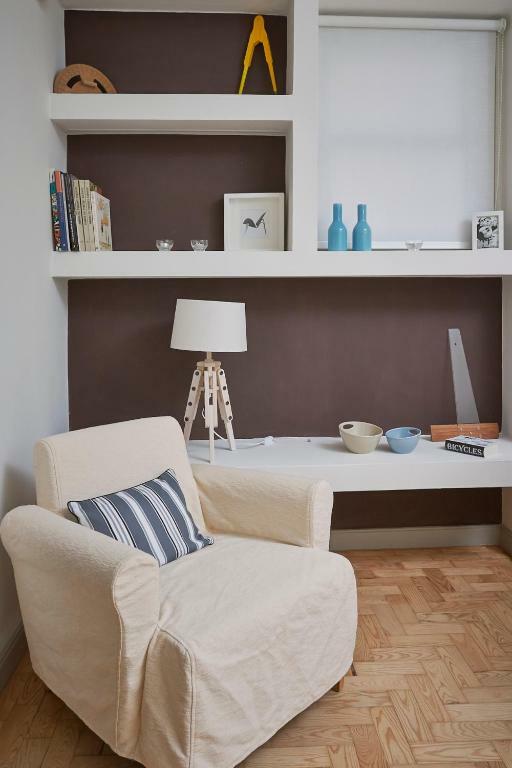 The apartment is very beautifully decorated, spacious and comfortable - it felt like home. 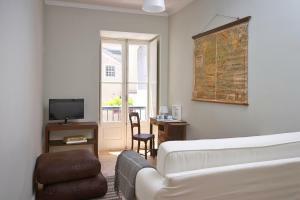 Close to everything you need in Coimbra, restaurants, shops, bars and sightseeing locations. The washing machine and dryer was an added bonus. The lovely host had fruit, wine, juice, pastries and other food items stocked in the fridge on my arrival, which was a most welcome touch! Great location. Rita was very helpful. We felt very welcomed and the apartment is well equipped. Felt like at home. Thank you. 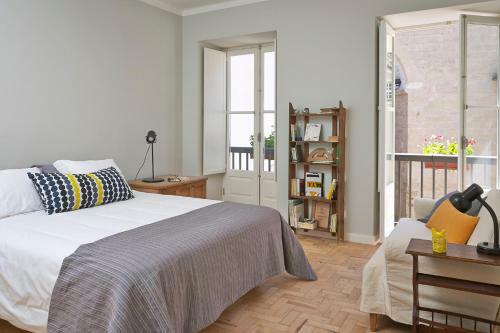 This apartment is magnificent and very well situated for tourists and anyone wanting to experience the magic of Coimbra. It is a light, bright, airy and large apartment with all the comforts. The decor was artistic and pleasing and the bathroom and kitchen modern and spotless. Everything we needed was there and the sense of space was fantastic. The moment you stepped outside the apartment you were in the historic heart of Coimbra. Our hostess was kind and also left us fruit, bread and other basics for our arrival, which was very helpful. I woudl love to go back there again! The position was fantastic. Very safe area, close to main shopping streets but tucked away in little courtyard with small bar downstairs. Bright,spacious, very well appointed studio. Very generous and delicious breakfast supplies. Friendly and responsive host. Lock in a great price for Casas do Arco - rated 9.5 by recent guests. One of our bestsellers in Coimbra! 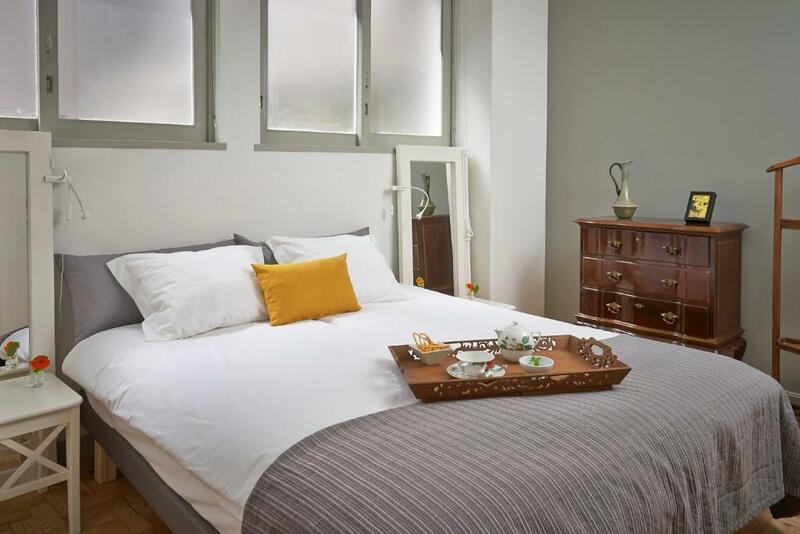 Offering 3 elegant apartments, Casas do Arco are located in the historical centre of Coimbra just a 6-minute walk from the Coimbra University Campus and 450 yards from Coimbra-B Train Station. Free WiFi is available throughout the apartments. 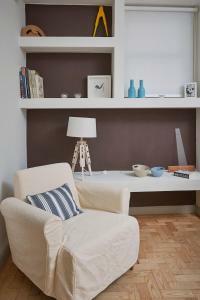 Carefully decorated, each apartment includes a comfortable living room with a double sofa beds and a flat-screen TV. 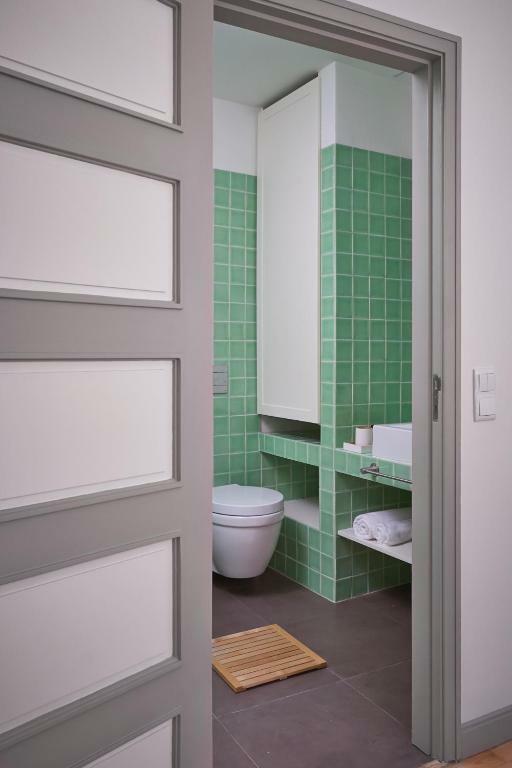 Apartments have 1 or 2 bedrooms and private bathrooms with free toiletries and a hairdryer. Guests staying at Casas do Arco are welcome to prepare their meals since each accommodation comes with a fully equipped kitchen. In addition and due to the apartments’ central position, guests have plenty of restaurants to choose from which serve traditional Portuguese dishes. Coimbra Football Stadium is 1.9 miles away and Portugal dos Pequenitos, featuring small versions of Portuguese landmarks, is a 12-minute walk away, across the Mondego River. Lisbon International Airport is 123 miles away. Casas do Arco has been welcoming Booking.com guests since 21 Nov 2014. When would you like to stay at Casas do Arco? 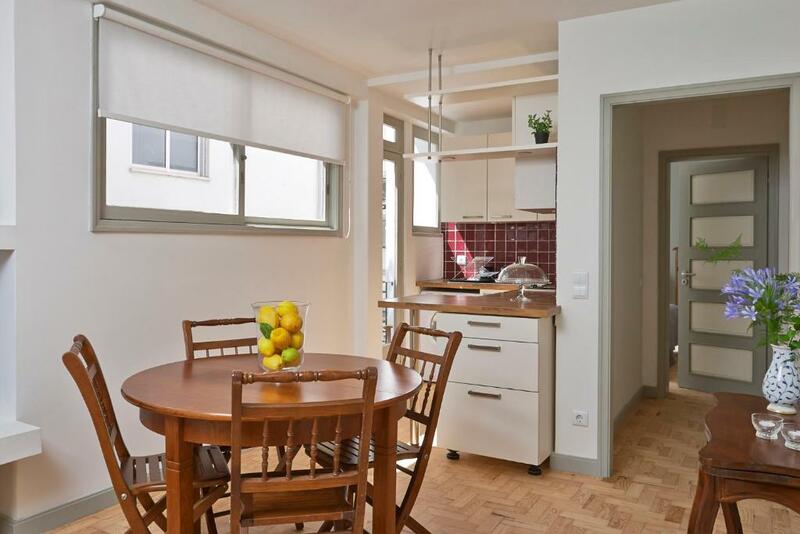 This apartment includes 2 double bedrooms, 2 bathrooms, a spacious living room and a fully equipped kitchen. Free WiFi is available. This apartment includes a double bedroom, a private bathroom, a living room and a fully equipped kitchen. Free WiFi is available. Located in the historical centre of Coimbra, Casa dos Mapas is a 2-bedroom apartment within walking distance from well-known landmarks, restaurants, shopping areas and services. 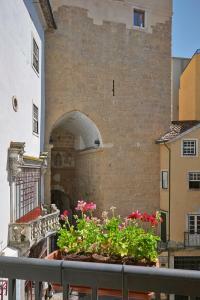 Casas do Arco are located in the heart of Coimbra’s historical center, recently classified by UNESCO as World Heritage. 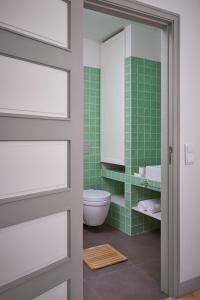 The building houses 3 modern apartments (one by floor), with all the facilities to make you feel at home. Property registered in Turismo de Portugal with license Nº 22338/AL. Atlantic Days is a family based company, created with the purpose of providing our guests with unique experiences. 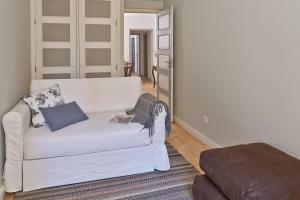 For that matter, we have renovated some properties in some of Portugal's special places. 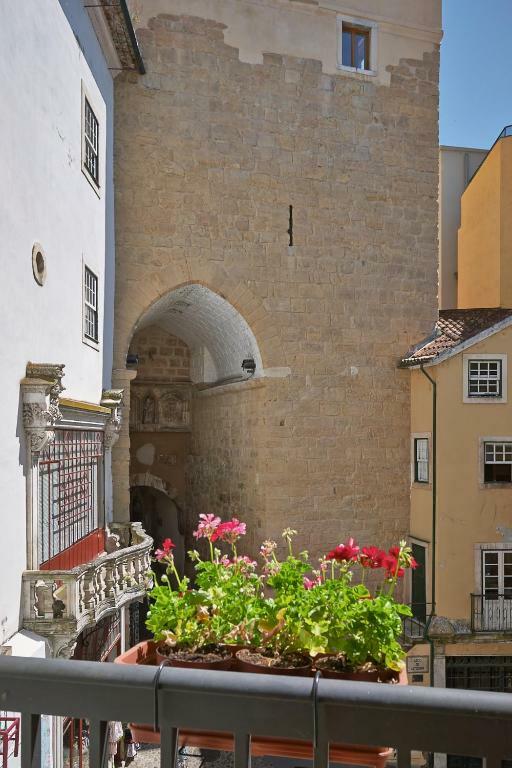 Nested on the border between the lower and upper town, Casas do Arco allow you to enjoy Coimbra’s top attractions on foot. Downtown offers a wide variety of trade and services, ranging from the most traditional to the most modern stores. House rules Casas do Arco takes special requests - add in the next step! Casas do Arco accepts these cards and reserves the right to temporarily hold an amount prior to arrival. Please note that late check-in from 20:00 to 00.00 has an extra charge of EUR 20. Please also note that for check-ins after 00:00, the property will contact guests with more information regarding availability and extra fees. The electricity always overloaded! No more! Only minus was the stairs we had to climb, but only a problem if you have heavy luggage. Revellers in the square outside were boisterous at times during the night - to be expected in such a centrally located place. Modern, clean, and spacious apartment in the middle of old downtown off of the main strip. Extremely quiet as well. As the apartment has a small café/bar downstairs it was noisy at night as the bar doesn't close until around 2am. Earplugs solved the problem though! Fifth bed is a foldout couch, almost on the ground. The apartment is a bit tricky to find the first time, but we did, and all was fine from there. you also cannot get close to it by car, so be prepared to lug your bags, but again, it was all worth it, as the setting is perfect. Slow Wi-Fi. Outside noise can be too loud on holidays and weekends. Parking was not easy because no vehicles are allowed to enter this part of the town. We found a public parking place near the Market, but it was a few hundred meter away. Great location, restaurants are just a few steps away. Comfortable beds, very clean rooms. Hosts gave us a very generous breakfast and wine too. We got suggestions for eating. Very close to major attractions. Very helpful and kind stuff. Clean bathrooms. We really enjoyed our staying in Coimbra. Wonderful location right off the main promenade. Hosts very generous with lovely breakfast and suggestions for sights and eating.